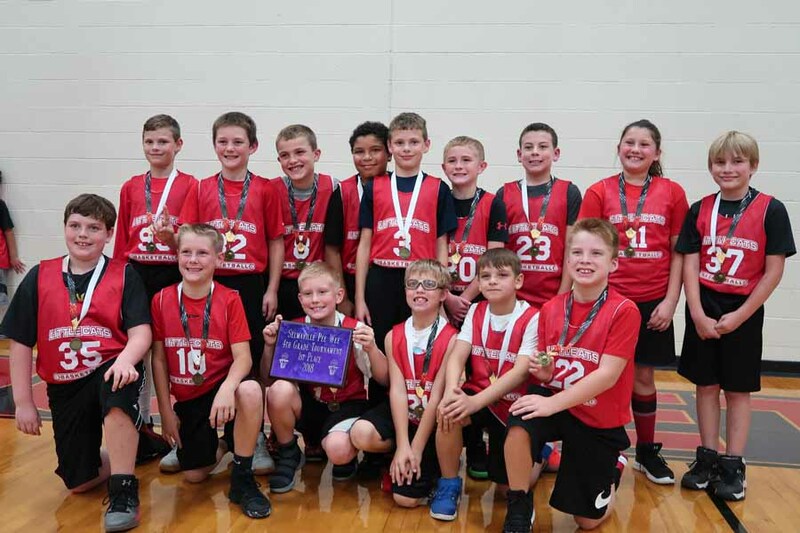 SALEM – The Salem 4th Grade Bobcats picked up where they left off last season. After a 30+ win campaign a year ago, the Bobcats won the Selmaville Tournament to open the season, beating Centralia in the championship 24-15. Caiden Miraglia had 9 and Landon Maxey added 7 to lead Salem. Payton Gullion finished with 4, Trey Clark added 3 and Avery Gullion 2. Salem opened the tournament with a 46-21 win over Kell led by Miraglia’s 14 and Trey Clark finished with 10. Landen Maxey added 6, 4 each from Jarrett Gibson and Landon Tennyson, Avery and Payton Gullion had 2 along with Max Vincent and Evan Barnes. In the semifinal, Salem beat Raccoon 32-21. 9 Bobcats scored led by Avery Gullion with 6. Clark added 5, Keytin Grawe had 4 along with Miraglia, Maxey and Brylee Pennypacker had 3, gibson had 2 and Vincent scored a point but was great distributing the ball and playing lock down defense. Salem then traveled to Carlyle St Mary yesterday and came away with 2 wins opening the day with a 27-18 win. Brylee Pennypacker and Trey Clark led Salem with 8 points each. Salem got 3 each from Tennyson and Alex Spencer. Barnes and Vincent had 2 with a point coming from Kane Ubelhart. In the 2nd game, Salem knocked off unbeaten Carlyle Blue 29-21. Miraglia had 11 to lead the Bobcats who are 5-0 to open the year and will head to the Central City Tournament this weekend. Clark added 6, Avery Gullion 4, Gibson 3, Maxey and Grawe added 2 and Payton Gullion hit a free throw. Head coach Toby Gullion was very happy with his teams overall performance. 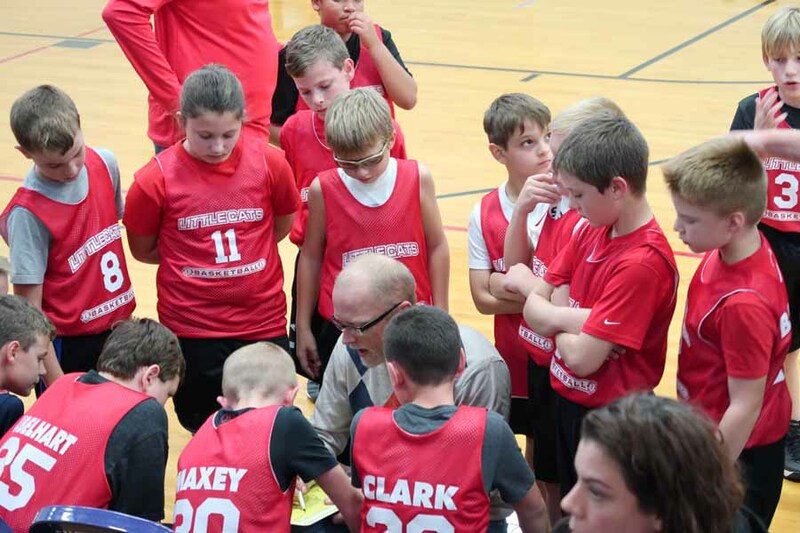 The Salem 5th grade teams also played St Mary in Carlyle yesterday as part of a full day of basketball with the Purtinun team playing solid second half defense but fell 17-8. 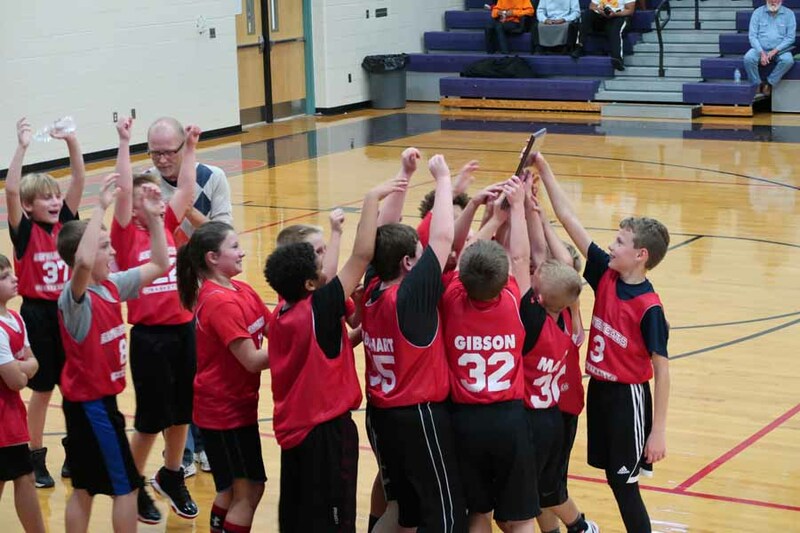 The Malan 5th grade team fell 34-19. 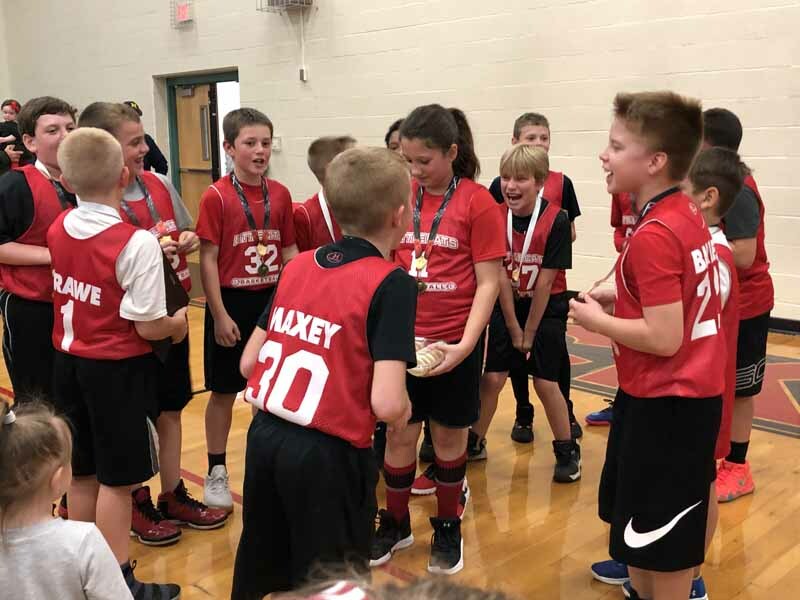 Singing “Happy Birthday” to Brylee “Money” Pennypacker after a win at the Selmaville Tournament. 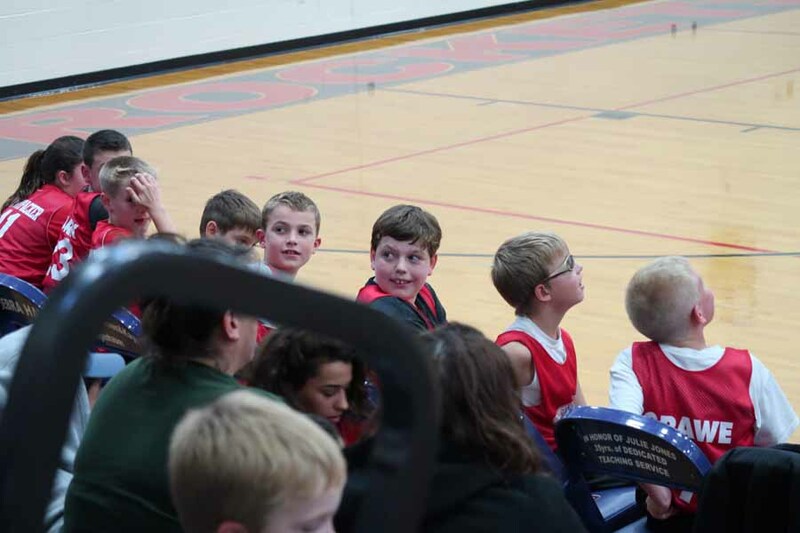 A peak back at a large crowd hosted by the Selmaville School over the weekend. A great atmosphere for basketball. Bobcats repeat as Selmaville Champs.